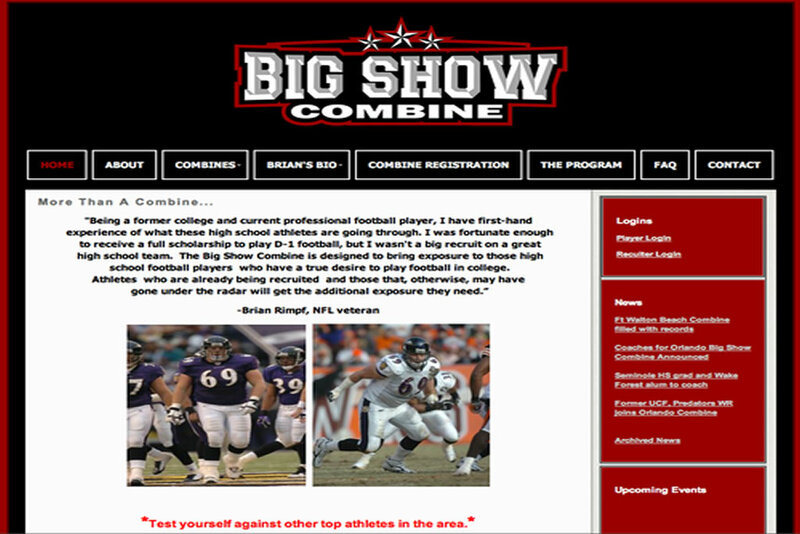 When Brian "Big Show" Rimph, former starter for the Baltimore Ravens, wanted to build a website for his High School Combine Program which helps high school Football players prepare for College, he came to Sumie Design to see his vision through. 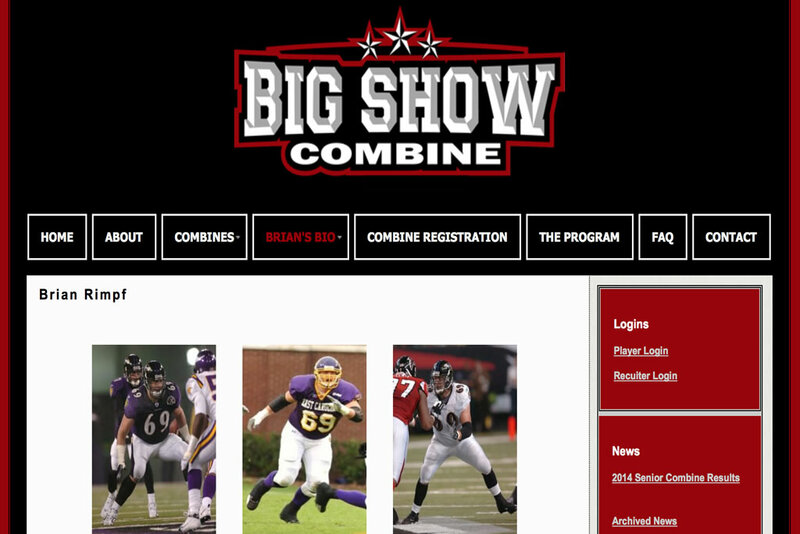 We developed a highly Custom Content management System with an easy to navigate website that allows Combiners to register for combines in their areas, as well as login to review their stats after the Combines are over. 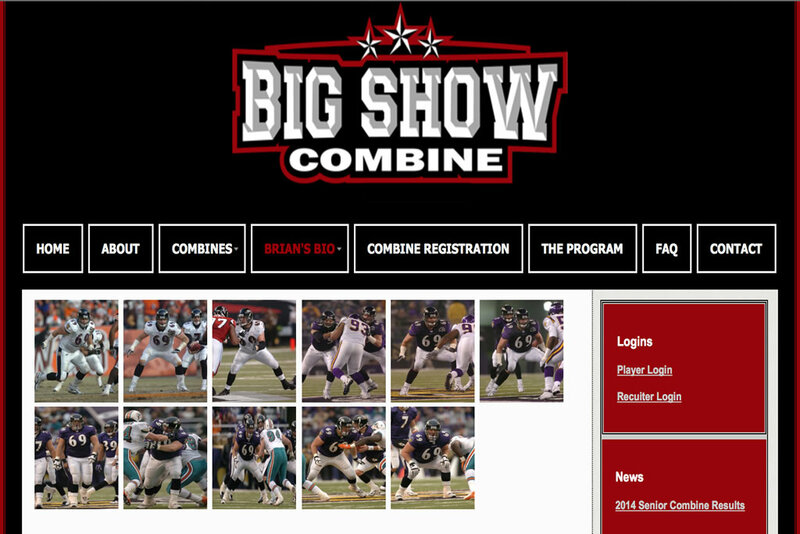 The system also allows College Recuiters to login and review players by positions and their stats. The Web Application allows for video uploads for recuiters to view. 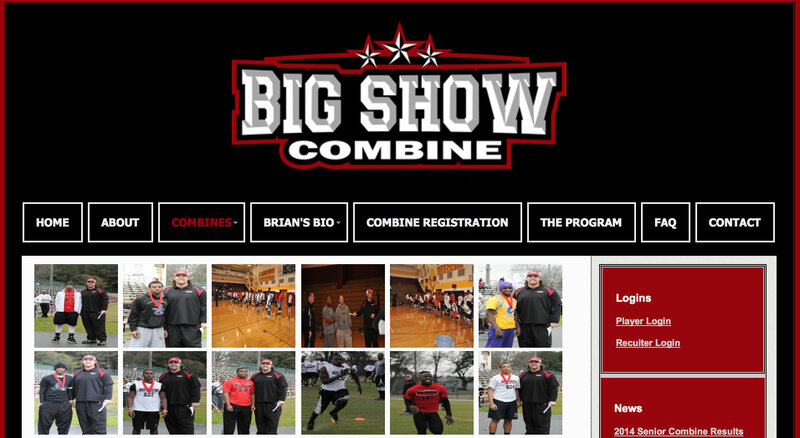 The system is built to help the athletes get an insight into the college sports system and help them prepare and market themselves to college recuiters.